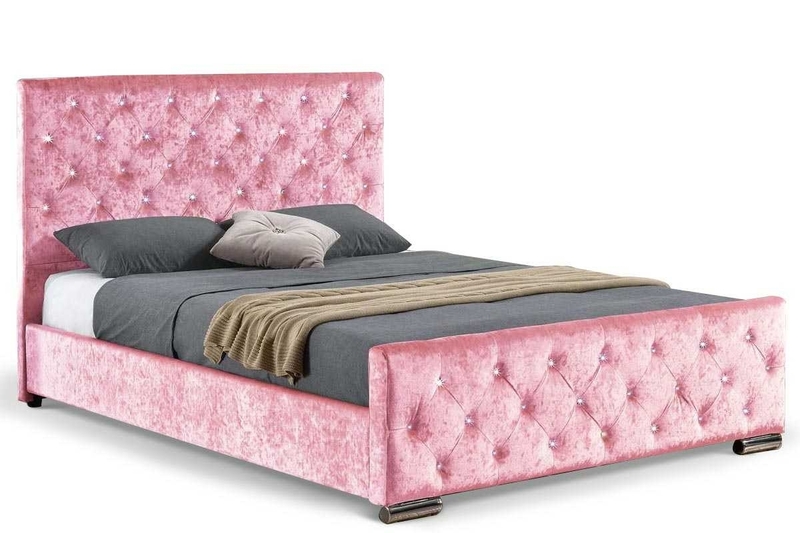 Truly the ultimate princess bed! 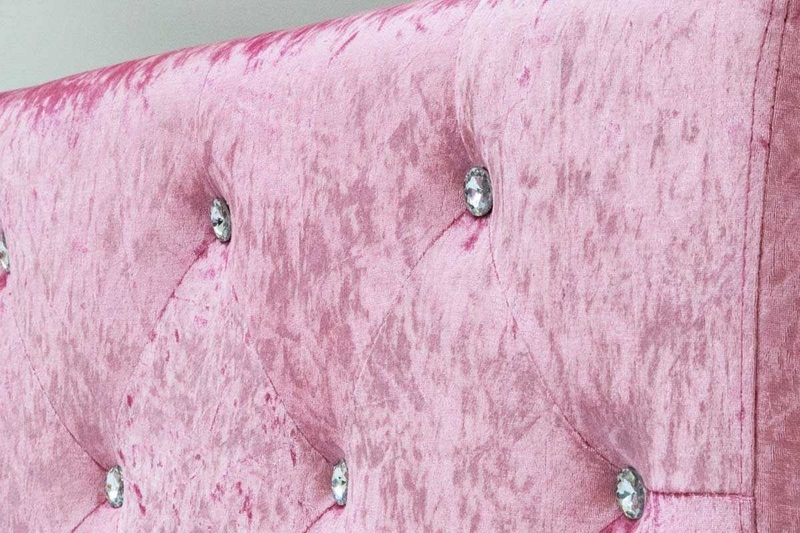 Turn the bedroom into a glamour parlour with the Beaumont upholstered in glamorous pink crushed velvet with studded sparkling diamante detail on the head and foot boards. 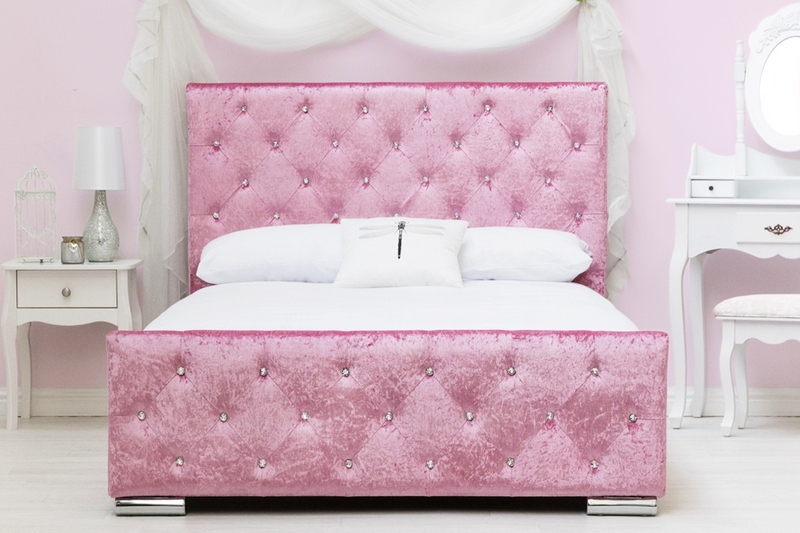 The Beaumont also features a lift up under bed storage area, perfect for storing bedding (or that shiny crown!) 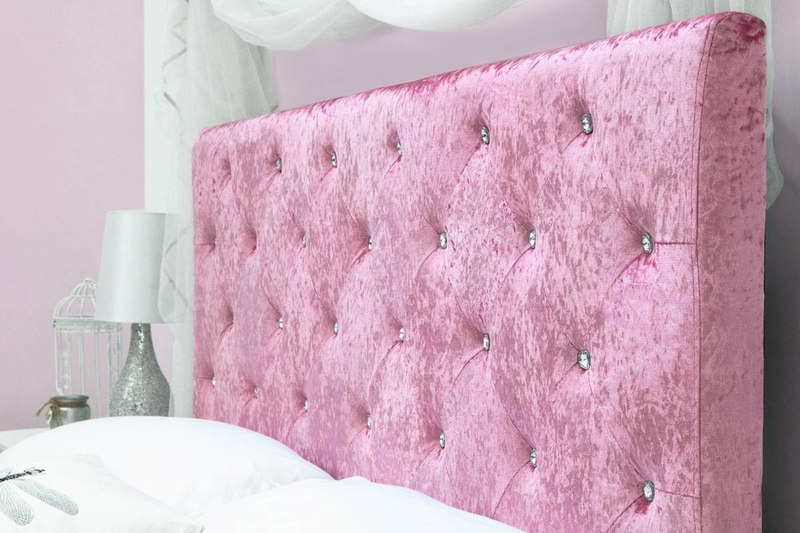 The standard double size would be perfect for both children and adults.